Thanks to our awesome friends at SUDIOCANAL, we’re giving you the chance to win 1 of 10 double passes to an advanced screening of Liam Neeson’s latest film, The Commuter. The screening will take place at Event Cinemas on George St, Sydney on Wednesday the 17th of January, 2018. To find out how to enter the giveaway, simply head over to our Facebook page for more details. 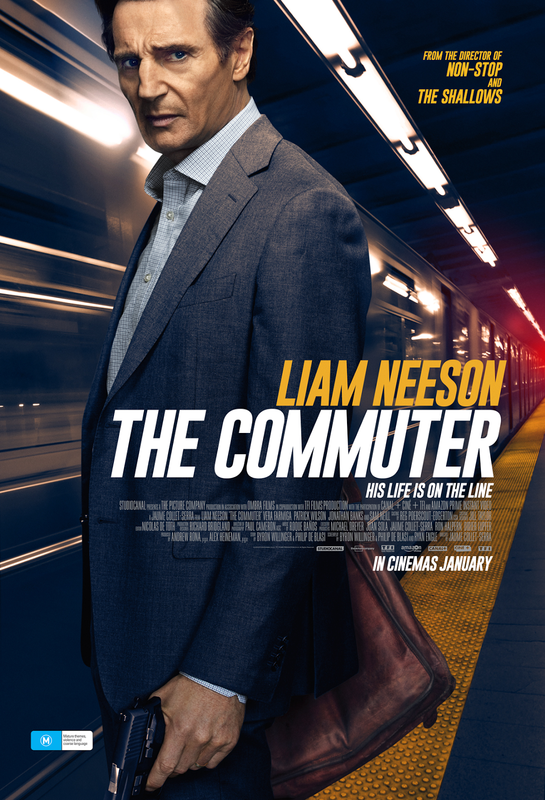 In this action-packed thriller, Liam Neeson plays Michael, an insurance salesman whose daily commute home quickly becomes anything but routine. After being contacted by a mysterious stranger, Michael is forced to uncover the identity of a hidden passenger on the train before the last stop. As he works against the clock to solve the puzzle, he soon realizes he is unwittingly caught up in a criminal conspiracy. One that carries life and death stakes for himself and his fellow passengers. The Commuter hits cinemas 18th of January, 2018.